What can $100 million mean to Texas land and water conservation? It’s a misty morning on the lower Colorado River near Austin. 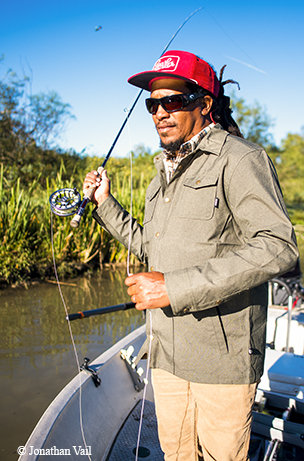 Fly-fishing guide Alvin Dedeaux makes a striking figure against the gray backdrop, fly rod in hand, dreadlocks streaming from the back of his red baseball cap. A former musician who spent time in nature to counter the stress of concert tours, Dedeaux began exploring the sparkling rivers of the Hill Country. His passion led him to become a professional fly-fishing guide. In 2016, the Texas Parks and Wildlife Department invited Dedeaux to join the Freshwater Fisheries Advisory Committee, and he got involved with TPWD’s Conserving Texas Rivers Initiative, a 10-year partnership with biologists, landowners, the Hill Country Alliance and nonprofit organizations to conserve Hill Country rivers through watershed-scale projects. Since 2010, the partners in the rivers initiative have restored nearly 10,000 acres of springs, creeks and streamside habitats and improved the management of over 100,000 acres of ranchland. The state fish of Texas, the Guadalupe bass, has been restored to the South Llano River and reintroduced to the Blanco and San Antonio rivers. TPWD’s rivers initiative receives key support from the Texas Parks and Wildlife Foundation, TPWD’s nonprofit funding partner. The foundation is wrapping up a fundraising campaign to raise $100 million for strategic conservation priorities like the rivers initiative, game warden training and coastal conservation. The campaign — the biggest ever undertaken by the group — is funding transformational projects identified by TPWD leadership that support conservation, stewardship and outdoor recreation. As part of the rivers initiative, TPWD has entered into lease agreements with landowners allowing fishing and nonmotorized boat access to 19 areas along 10 rivers. River fishing in the Hill Country generates approximately $70 million annually, which benefits local communities. Spending time on the river encourages stewardship and conservation of river watersheds. And having the additional access points makes it easier for guides to take people on the river for a few hours at a time. United by a deep passion for the land, the work of Dedeaux and others involves sacrifice, commitment and pride in our Texas heritage. When you do right by the land, you improve the lives of its people. Here are a few more examples of the impact from the foundation’s fundraising campaign. I’m walking with James and Loretta Brown along the shoreline of Powderhorn Ranch, on Matagorda Bay, where the Browns have managed cattle and recreational hunting since 1996. The storied past meets the present here, where Karankawa Indians lived 2,000 years ago, and where European colonists settled the land in the 17th through 19th centuries. I learn that Loretta is a descendant of Mexican empresario Martín De León, who settled Powderhorn and the land surrounding it in 1825 following Mexico’s independence from Spain. Loretta explains that the pendant hanging from her neck is a symbol of Espíritu de Jesús, Texas’ first cattle brand, which De León registered in 1807. In 2014, TPWF seized an extraordinary opportunity to purchase 17,351-acre Powderhorn for $37.7 million — below its commercial value. The National Fish and Wildlife Foundation contributed funds received in the wake of the 2010 Deepwater Horizon oil spill, and the foundation led fundraising efforts to raise nearly $50 million for the total initial cost of the project. Ownership of Powderhorn dates back to 1834, when Irish immigrant Thomas O’Connor purchased the land through a De León land grant. At that time, European immigrants streamed into Texas through the nearby port of Indianola until it was devastated by a hurricane in 1875. In 1909, the railroad finally reached the area, and a new port was established on the coast and named for O’Connor. The Denman family bought Powderhorn in 1936 and managed it as a cattle ranch and game preserve for several decades. In 2002, the land was sold to Cumberland & Western Resources LLC, which in turn sold it to the foundation in 2014. 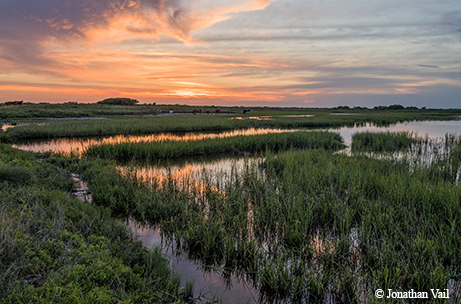 TPWF is raising additional funds to restore the native habitat of this coastal treasure. 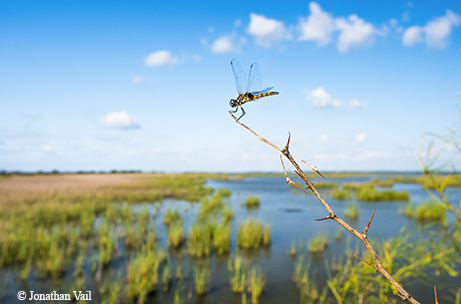 Its 11-mile shoreline, native grasses, oak mottes and wetlands provide shelter for many species of fish and wildlife. The Browns use land restoration practices, such as rotational cattle grazing and fire, to support the overall ecosystem. In the future, Powderhorn will become a wildlife management area and a state park. Bobby McKnight gazes out at the family of pronghorn resting in the grasslands on his ranch outside Fort Davis. They are a welcome sight, considering that their numbers in the Trans-Pecos ecoregion had dwindled from 17,000 in the 1980s to less than 3,000 in 2012. This decline was due to factors such as fencing methods that limited their movement, severe drought conditions, predation and parasites such as the deadly barber pole worm. Today, native pronghorn are rebounding, thanks to the Trans-Pecos Pronghorn Restoration Program, a $1.4 million public/private partnership involving TPWF. Partners include TPWD, USDA-Wildlife Services, the Borderlands Research Institute at Sul Ross State University and the Trans-Pecos Pronghorn Working Group, made up of landowners, scientists and other stakeholders. A sixth-generation Texas rancher, McKnight joined the working group in 2011. 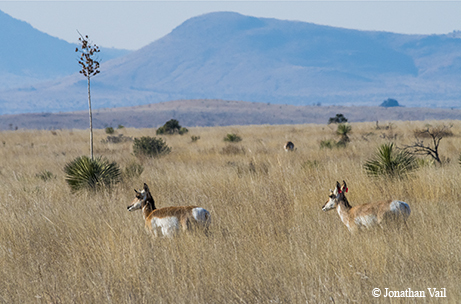 Since then, the project team has translocated 780 pronghorn from the Panhandle to areas near Marfa and Marathon. They have implemented predator control methods and added water sources. To allow the pronghorn to roam, McKnight and other landowners have constructed fencing with an 18- to 20-inch gap at the bottom. The fastest land mammals in North America — able to speed across the grasslands at up to 60 miles per hour — aren’t jumpers, but they will scoot under the fencing. The team overcame obstacles along the way. In April-May 2011, after the first 200 pronghorn were released near Marfa, the Rockhouse fire swept through the area, devastating 325,000 acres of grasslands, including the McKnight ranch and McKnight’s childhood home. The most severe drought in Texas history followed the fires. Due to these and other factors, the survival rate of the first transplanted group was only 20-25 percent. Yet, the team persevered, and additional releases achieved an overall survival rate of 70-85 percent. As of summer 2017, the pronghorn population had doubled to more than 6,000. K9 game warden Christy Vales brings her Labrador retriever, Ruger, out of the truck to meet me. He is alert, energetic and ready for action. “Sit!” I say, and he quickly poses with his partner for a photo. He’s done this a few times before. 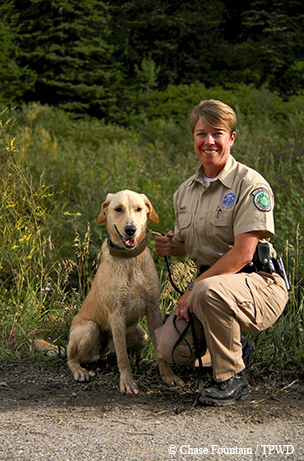 In addition to her regular duties as a game warden K9 handler, Vales supervises the statewide K9 team, established in 2013 with support from TPWF. 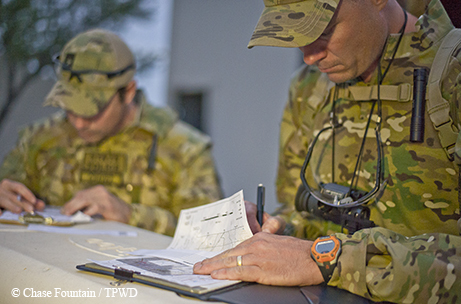 The 10 statewide units on this team are trained to assist game wardens with emergency response, search and rescue, narcotics detection, and detection of poachers and illegally obtained fish and wildlife. The K9s are in demand statewide, and the Texas program serves as a model for other states. In February 2015, Ruger became a local hero when he led a search-and-rescue team to four Bastrop County boys who had been missing for eight hours. It was past midnight and near-freezing by the time the boys were airlifted to safety. Now, Vales and Ruger are called on frequently to assist with search-and-rescue missions in other counties around the state. Vales and Ruger keep their skills sharp at the Game Warden Training Center, a state-of-the-art facility located in Hamilton County. The new facility prepares future cadet classes to meet the demands of the job and ensures that Texas game wardens maintain their reputation as the best-trained conservation officers in the country. The center is being constructed with funds raised by TPWF. Phase I, completed in 2010, includes administration and education buildings, a fitness center, a firearms training range and a dining hall. In 2014, the foundation began a capital campaign to raise $9 million to complete Phase II of construction. Phase II funded new cadet dorm­itories, as well as renovation of the existing kitchen, instructor’s quarters and medical center. 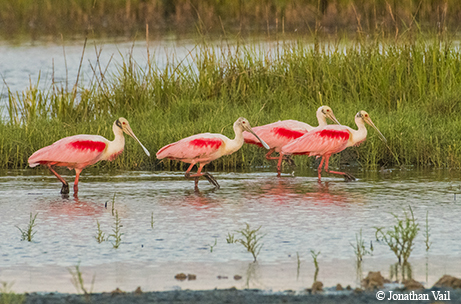 It takes many dedicated partners and collaborators to keep Texas wild. From biologists, landowners, stewards, scientists and river guides to game wardens, outdoor education leaders and citizen volunteers, every Texan has a role to play. These projects will help safeguard the wildlife, historic legacy and natural resources of Texas for future generations. With the first phase of the fund­raising campaign wrapped up, the foundation is turning its attention to raising awareness of the work still to be done. Encouraging the next generation to get involved in conserving the wild things and wild places of Texas is the goal of a TPWF public awareness effort that launched earlier this year. The “We Will Not Be Tamed” campaign calls on all Texans to appreciate the wildness of Texas, the vastness of our Texas spirit and the reasons why we should all be inspired to protect it. Find out more at wewillnotbetamed.org.